See a quieter side of Tokyo on a walking tour of the Kagurazaka neighborhood. With your local guide, walk along the many alleyways and lanes off the main street, and enjoy a glimpse back in time to the era of the geisha. The beautiful neighborhood of Kargurazaka was known in the early 1900s for its geisha houses, some of which still remain today. Your walking tour starts with a visit to the Tokyo Daijingu Shrine, considered to be lucky for those seeking romance. Then stroll Kagurazaka Street past traditional Japanese stores. See the Zenkokuji Temple with its striking red pillars, and walk along the old stone steps, past the onsen (hot baths), to reach the Wakamiya Hachimangu Shrine. Next, spend some time on Oguri Yokocho, a narrow street named after the Oguri family, a powerful clan during the Edo era. Unlike busy Kagurazaka Street, this area is quieter and more intimate, with residential houses located among the cafes and restaurants. 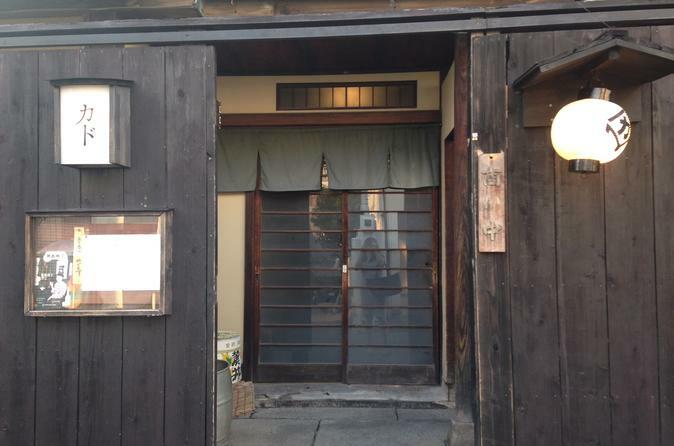 Continue your tour by walking past the former Geisha Association office and through more small laneways to the areas of Kakurenbo Yokocho and Hyogo Yokocho, where you will find small hole-in-the-wall restaurants, izakayas (Japanese-style bars). Enjoy a complimentary drink (beer, Japanese sake, shochu, fruit liquor or nonalcoholic beverage) and a snack. The tour concludes upon arrival at Kagurazaka.